I became an archives and records management consultant, because I have a fire in my belly to have a positive impact on as many organizations and people as possible. Surely, no one becomes an archivist or a records manager because of the pay or the prestige. We like helping others, solving problems, and creating change—from a jumble of dusty boxes to neatly organized and accessible files for research. I want to work on projects that matter. Self-employment requires discipline and concentration, a high risk tolerance, and self-confidence. Your first sale is to yourself. In the information management field, our identities are tied to the organizations that employ us. I see now how I’ve hidden behind job titles for years. 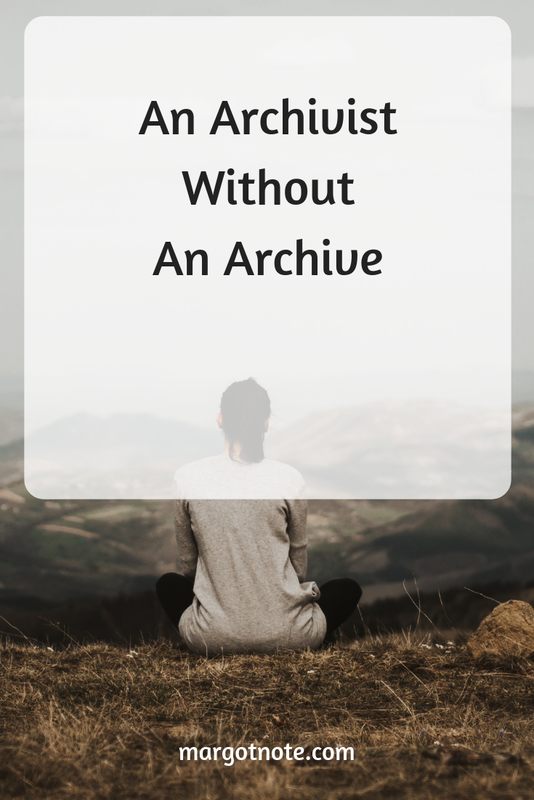 It takes guts to be independent, to step away from institutions, to be an archivist without an archive. Many people consult as a side business. I am a full-time consultant who can devote all of my attention to my clients. As a sole proprietor, my overhead is low, which is reflected in my fees. My approaches are tailored, because each client is unique, and their problems merit distinct interventions. I only take a few clients at a time, so my attention is undiluted. Our partnership is a collaborative effort. If you would like to develop, maintain, or improve your archives and records management program, I’d love to start a conversation. If you are a consultant, contact me. I’m building a network of people whom I can recommend projects to if I’m not the right fit.